?Share a positive online review to Support Our Work! 🏅 Share a positive online review to Support Our Work! There are many positive online reviews for Turn Off the Lights in the Chrome web store, Firefox add-on gallery, Microsoft Store, etc. 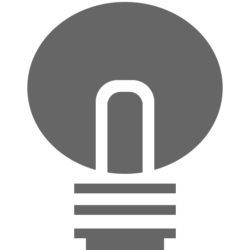 Our users (such as you) love the simplicity of the gray lamp button, and the many great options inside this browser extension. For some users it really gives him a new way of watching online videos. Also, we read great feedback on the review page, so that we make the feature even more better. While millions of users use this practical tool in his favorite web browser. But the important key is that it must do what it must do. And that we continue to improve your online web experience in the free browser extension. This is one of the user review from on the Chrome web store. 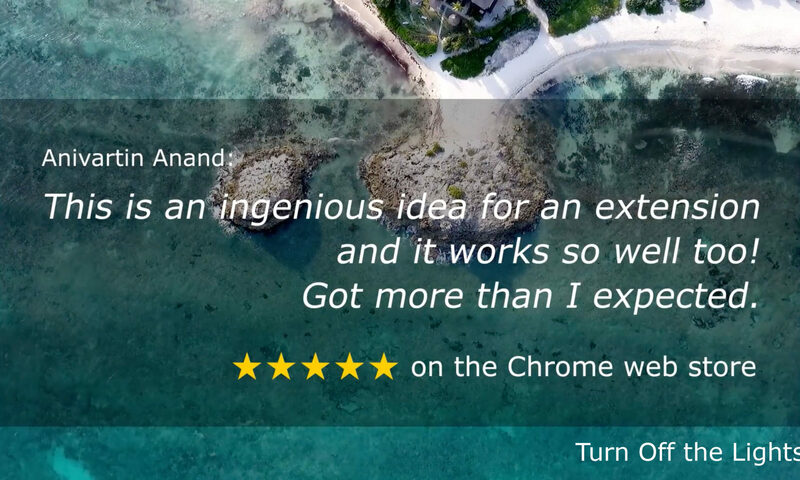 He rated 5 stars and said this about Turn Off the Lights Chrome extension, that it is the most ingenious idea for an extension. And there are many options inside, even that the user thought it only adds lamp button to dims the web page in his Chrome toolbar. You watch and read more users review on our YouTube Channel, and the browser extension store or gallery. We read all the reviews that are visible in the store. And help you if you have a question. But, if you need any help, it is best to contact us by using our contact form on our support page. Or you can use the Google Assistant app (for iOS, Android and Google Home device). Ask for “Turn Off the Lights Support”, she can help you further. And it is that to motivate us to continue to improve the web experience from a day to night experience.